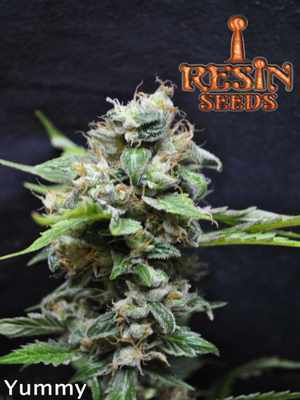 Dieseltonic cannabis seeds by Resin Seeds are Sativa/Indica hybrids, although they lean heavily to the Sativa influence. 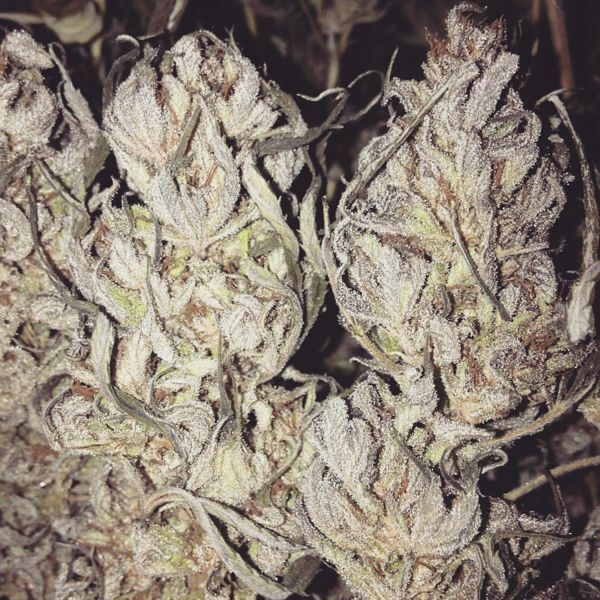 It is a feminized cannabis strain that originates from the cross of a Cannatonic and a NYCD. The end product is a high yeilder of the highest quality that sets itself apart from the rest in more ways than one. 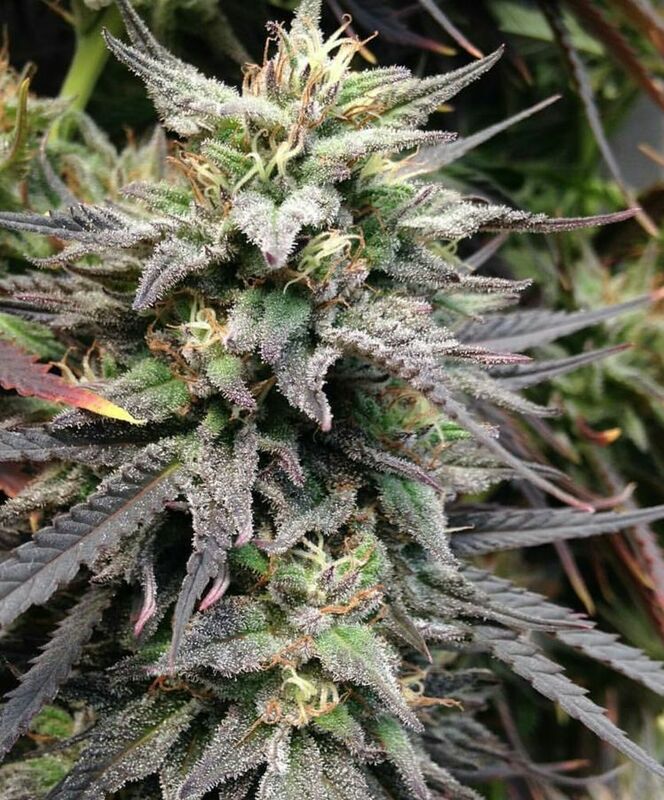 Unique terpenes and intense odors emanate from this plant; not your typical modern day hybrid. Dieseltonic cannabis seed was bred to maintain the unique cannabinoid profile of our CBD Queen Cannatonic, all the while adding new flavors and size that were unavailable previously. 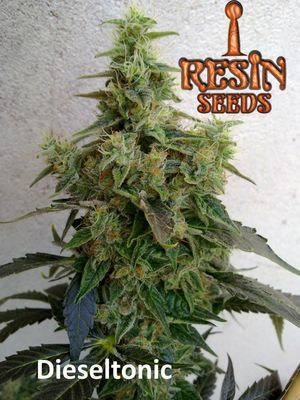 The result is a stellar, easy-to-grow, vigorous marijuana plant that flowers reasonable fast for a Sativa hybrid and produces large, dense colas covered in resin. The effect is equally powerful as it is physical and cerebral, due mostly to the CBD enrichment of this genetic. The Sativa influence will allow for moments of creativity and inspiration, as well as help cover bouts of depression and pain. 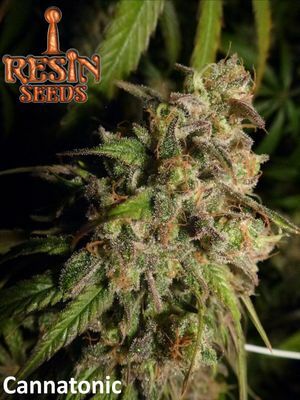 With the added CBD in these Dieseltonic seeds, one should be able to notice one´s entire body positively affected by the cannabinoid profile, as CBD plays a large role in our CB2 receptors, found all over the human body, regulating so many of our cells biological processes. 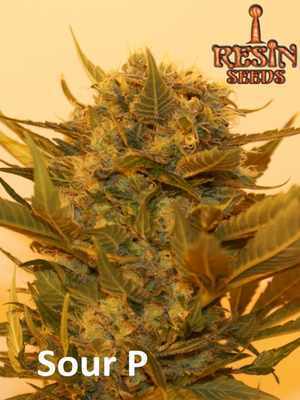 Dieseltonic marijuana seeds produce a medium to large sized plant that performs well indoors and in the great outdoors. 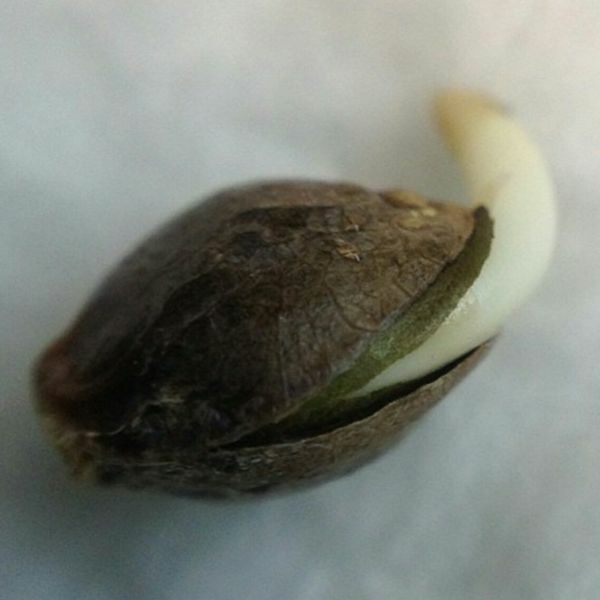 The size of the plant is largely dependent on the time the CBD seeds are allowed to spend in the vegetative cycle. In a greenhouse, it can easily exceed 15 feet in height. These plants are suitable for growing the famous 10 pound trees that growers on the West Coast, USA have been know to produce. 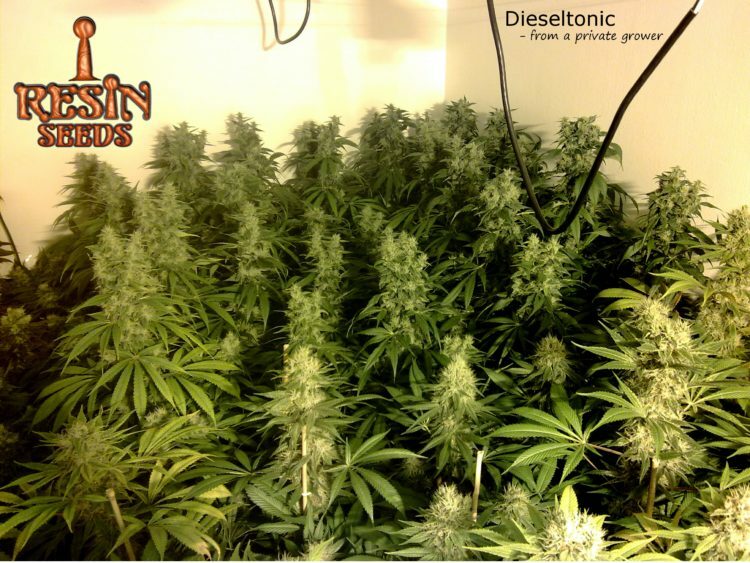 Dieseltonic has an remarkable flavor and smell, with hints of citrus, cherry, fuel, woods and berries. This strain is a must for those who enjoy Diesel terpenes, as well as the myrcene and cherry flavors brought out by this plant. Our Cannatonic grow guide is available with equal results for Dieseltonic seeds, as they are similar plants. Please keep in mind to keep the lamps up higher than the typical distance from canopy; this plant responds well to a higher light source. Good luck growing our Dieseltonic, High Times Amsterdam 2013 Cup Winner; be sure to send us your pictures when you harvest! 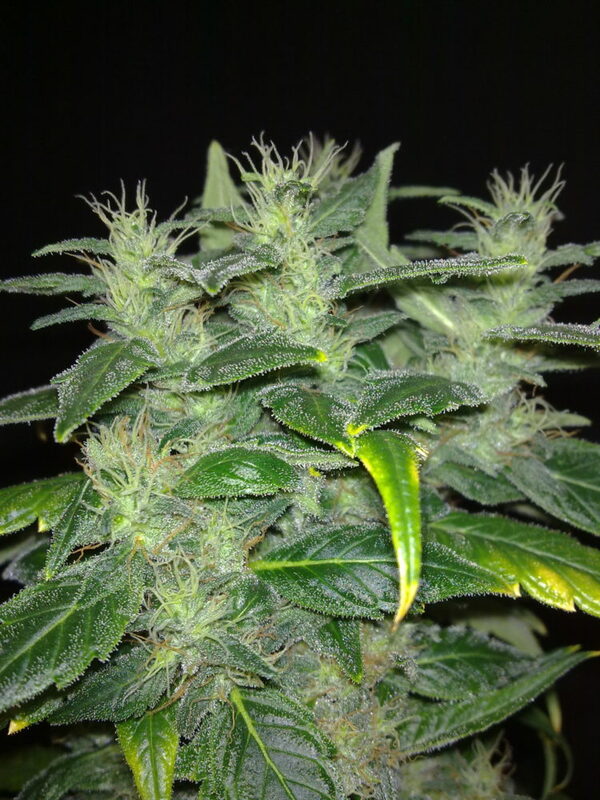 Dieseltonic, a massively popular CBD rich plant with the same CBD/THC ratio possibilities as Cannatonic, the CBD Queen; she is another great addition to your healing plants´ collection. We crossed Soma´s N.Y.C. Diesel with a reverted Cannatonic. Due to the different chemotype, the effects could have a wide range depending on the selected pheno. Approx 50% of the plants will carry 1:1 THC/CBD, which is great for medical use, while a quarter will be near pure CBD and the other 25% of the population will be near pure THC: Dieseltonic has a 8-9 week flowering time and a 400-500gr pr m2 with a 600w set up. She is a quite easy plant to grow and is also very resistant against fungus and powdery mildew. 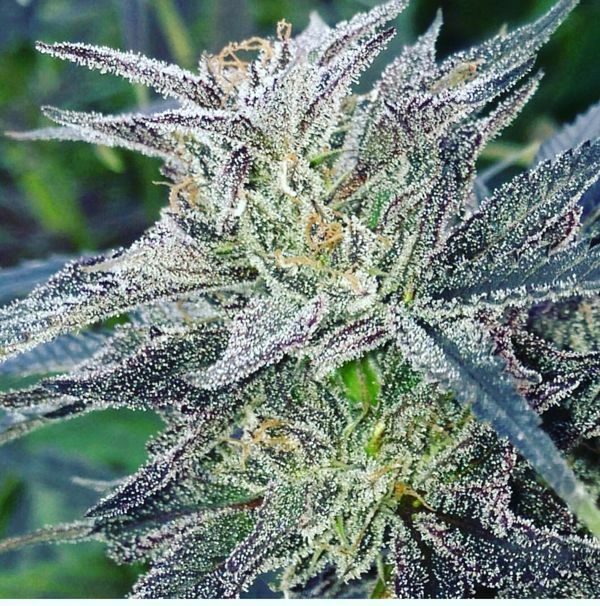 With Dieseltonic you will get nice looking buds with a hint of both the distinct smell of New York Diesel and the aromatic Cannatonic, a perfect combination. 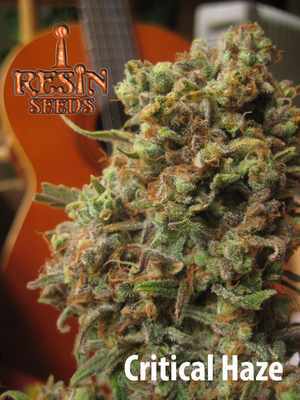 She has a sweet citrus mandarin flavour and will keep you smiling for a long time. The effect of Dieseltonic is often energetic and uplifting, great for days with activities. Tips: Dieseltonic, like Cannatonic, like to have the lights higher than average above them and give bigger yields this way. For a 600w lamp the distance should be 1 m from top of plant to the bulb.